This module describes support for nesting a style rule within another style rule, allowing the inner rule’s selector to reference the elements matched by the outer rule. 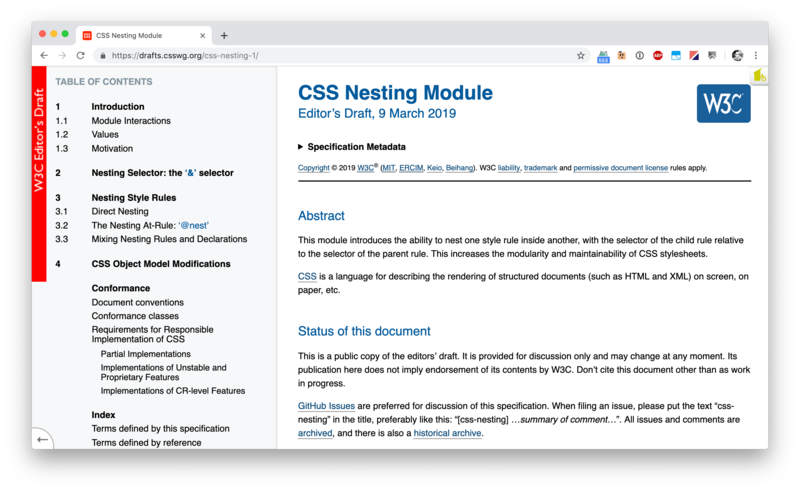 This feature allows related styles to be aggregated into a single structure within the CSS document, improving readability and maintainability. The & selector can also only be used when it’s first compound selector (e.g. it appears at the first position) of an inner selector. To me it feels like this @nest rule should go. The interpreter should be smart enough to figure things out all by itself.